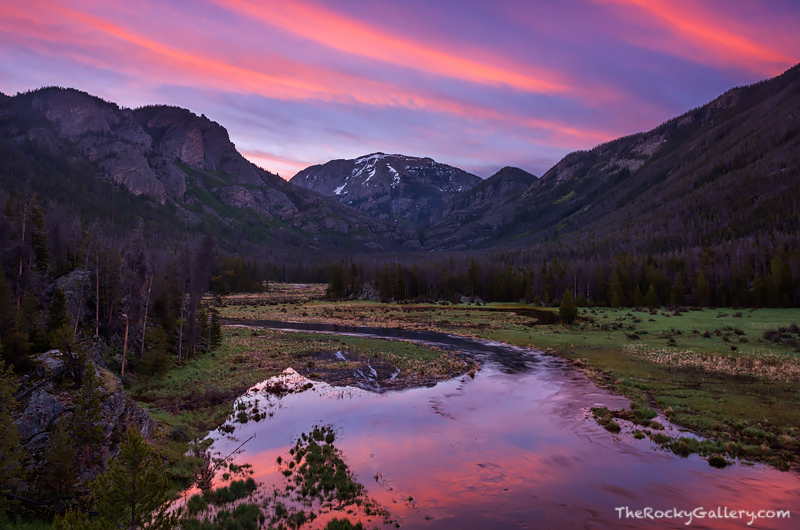 It's springtime along the East Inlet on the west side of Rocky Mountain National Park. Heavy winter snows are still melting as the temperatures warm and the East Inlet is overflowing with water from the runoff. Some beautiful high clouds color the sky over Mount Craig, aka Mount Baldy at sunrise on this June morning. Photo © copyright by Thomas Mangan.